Price list and pdf catalogues are at the Download page. 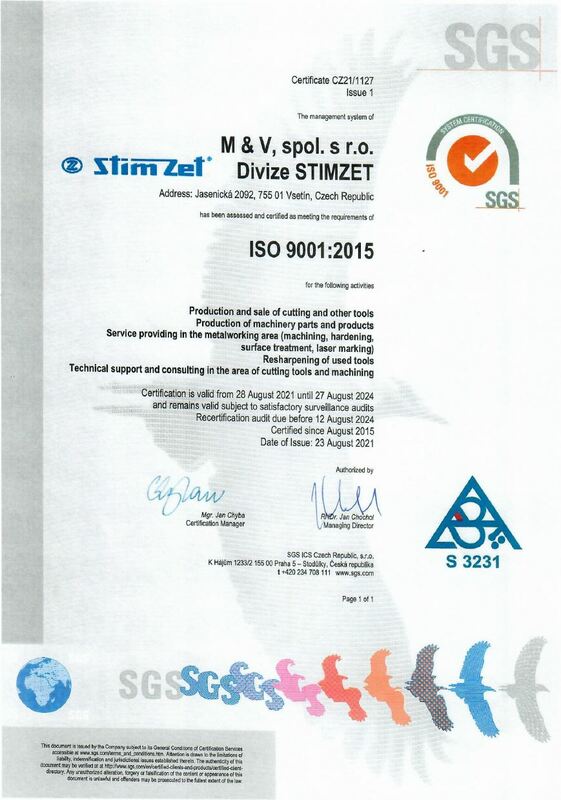 STIMZET is one of the significant European manufacturers of drilling tools. 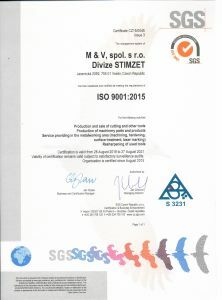 The high and constant quality of production results from more than 60 years tradition of the drills, reamers, countersinks and counterbores manufacturing in Zbrojovka Vsetín and STIMZET a.s.
STIMZET offers not only the assortment of standard tools, but also the special tools according to the customers requirements and engineering services for solving technological problems in relation to drilling and hole machining as well.